Just a note to say thanks for your help, parts, (the "like-new" tubing pieces from your left over stock fit perfectly) and advice in taking on our piano repair. Took almost a year for my cold weather piano re-tubing project to be completed but I got the belly cloth back on today and successfully played over 20 rolls in the past couple of days. I had redone some smaller expression box billows and rewind/replay billows repairs 30 years ago and while they needed some limited repairs they are in good shape. Other parts tested good to passible, nothing is perfect and it works! So I am happy. I also removed a couple of pounds of dust and debris from all the nooks and crannies of the mechanism. Your videos, technical documents and repair books were excellent references throughout the process. Love your videos. As an amateur player-fixer I've used your videos several times as guides. You're great! Thank God for people like you. I do pianos mostly for friends and a hobby and I'm on my 5th one now. In fact, I've bought some parts from you recently. I'm doing a Lester right now and I don't need to tell you how much a pain the valves are to rebuild and set properly. I built a jig to set up the gap on them and then I dial them in with test fits until they're just right. The strip laid pouches weren't too bad but I like them separate much better. I just hope I did it right. I've done a couple of Standards, a Pratt and Read players as well as an Autopiano and a Chase and Baker piano player (which is mine). I love the old technology and to think that today's computers are based on this same principle of ons and offs to accomplish music. Player pianos are early computers! Keep them going John. Great work from a great craftsman. share it with visitors to Player-Care. It came from Michael White in Idaho. I did receive my CD today. Thank you again, not only for your follow-up regarding my backorder, but most important, your excellent, professional, and greatly appreciated, customer service. I just wanted to thank you for the wonderful service that you provide. I received the service manual for my player piano in a very timely fashion and I also just received my roll order today, which I believe that I ordered only about 3 days ago. You have been most helpful and your service is great! John, I just had to email you about your service! Ordering was so easy, and I got my order in 4 days! The music was more than I expected, I never knew that my Meville Clark player could play that well. Thanks again. is teaching customer service and yours is outstanding! "Si j'ai propos? © Monsieur John A. Tuttle de r?diger ce t?moignage en faveur de Player-Care, c'est simplement que je suis tr?s satisfait des services rendus par cette soci?t?. En effet pour ma premi?re commande aux ?tats Unis, j'ai pu trouver aupr?s de Player Care repr?sent?e par Monsieur John A. Tuttle un accueil tr?s sympathique et chaleureux malgr? la barri?re occasionn?e par la langue. Je n'ai pas attendu plus d'une heure pour avoir une r?ponse © une question et le paiement que je ne souhaitais pas effectuer par carte bancaire n'a pos? aucun probl?mes. Aucune interrogation n'est rest?e en attente. Ma commande de rouleaux est arriv?e chez moi en quelques jours apr?s que j'en ai eu la confirmation. Voici quelques raisons qui explique ma volont? de vanter le professionnalisme de Player Care mais il y en a s?rement d'autre que je vous souhaite de d?couvrir en choisissant Player care." "If I suggested to Mister John Tuttle drafting this testimony in favour of Player-Care, it is simply that I am very satisfied with services returned by this society. Indeed for my first orders in United States, I was able to find with Player Care represented by Mister John A . Tuttle a very nice and warm reception in spite of the barr?re caused by the language. I did not wait more than one hour to have an answer to a question and the payment which I did not wish to make by card put nobody problems. No interrogation stayed in wait. My order of rolls arrived home in some days after I had it the confirmation. 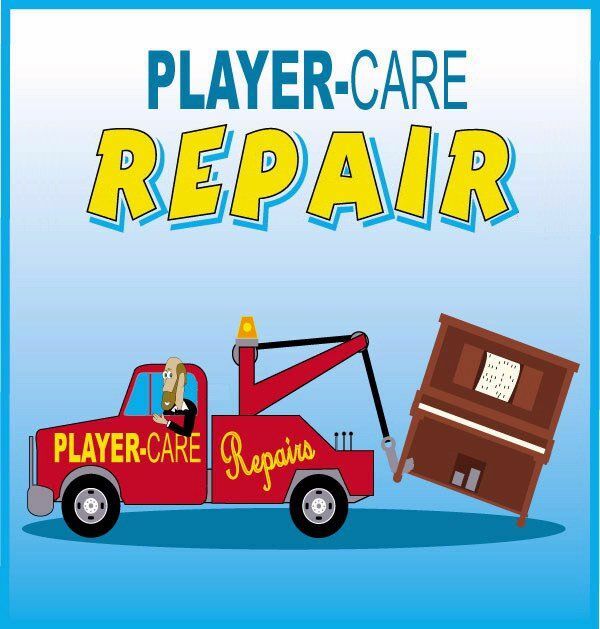 Here are some reasons who explains my will to praise Player Care's professionalism but there is certainly of other than I wish you to discover by choosing Player care. " We already received the Rolls from QRS. Great dealing with you. By the way I've had some hits on the Tik-Tok Man of Oz requests. Thanks to you ! We hope to do business with you again in the future. We also appreciate all the time and effort you put into our questions and answering them promptly. You definitely have "GREAT CUSTOMER SERVICE" ! you've been the best! Easy to order and fast service! it always seemed so difficult. Your web site is so easy to use, it's almost scary! Doris; Indian Harbour Beach, FL"
they will be contacting you in the future about more purchases. What an easy process. "I am not very sophisticated at ordering merchandise electronically. My wife is the resident computer genius. When she got home from work tonight and I told her I had made my first purchase on the internet, she was naturally concerned about whether or not the transaction was done using means to secure one's credit card numbers. She checked things out and all is well with you and the rest of the world. Thanks for giving those with player pianos a chance to order at a discount. "Thank you John! I appreciate the phone call last night to rush my order along. I was very pleased with your customer service. It is hard to find these days. Thank you! Thank you for your reply and your helpful suggestion. The M bag service will be fine by me. It saves a few dollars and the risk is small. 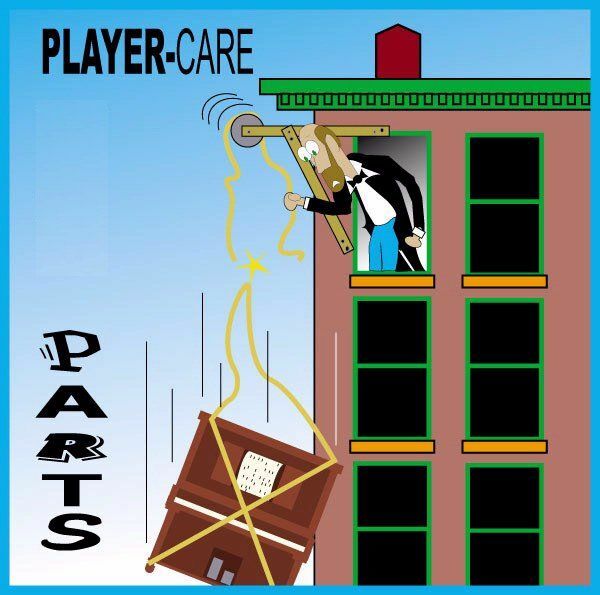 Using "Playercare" works out a lot cheaper than QRS direct. The second best reference I can give you is QRS. You can call their office in Seneca, PA at 1-800-247-6557.